Emily and Dylan first met in the 7th grade. 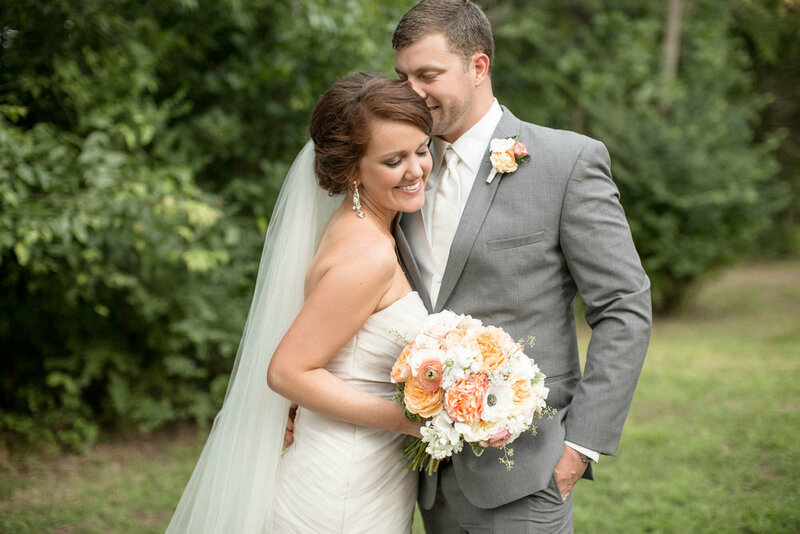 After running into each other during one of Emily's friend's bachelorette party on Dickson Street almost a decade later, their romance ignited. 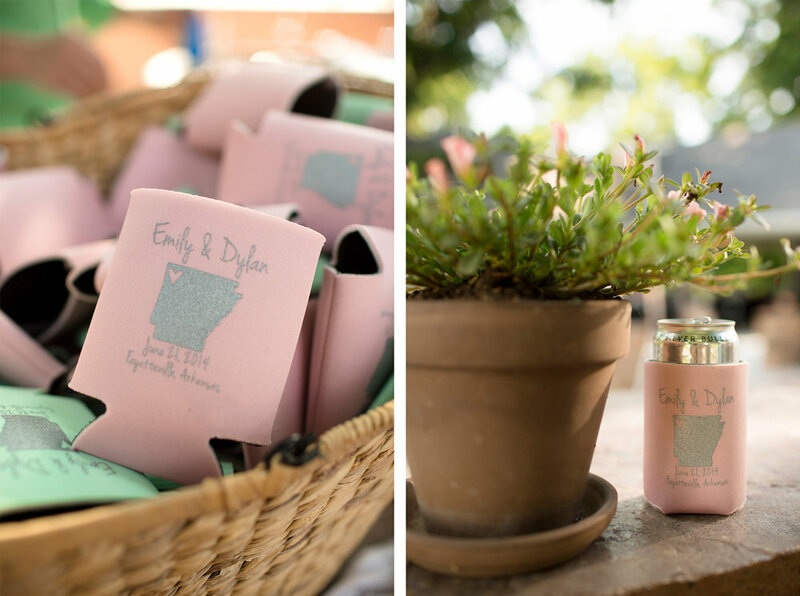 Dylan popped the question just a few years later and they were married at Emily's family home and farm in Fayetteville, Arkansas! 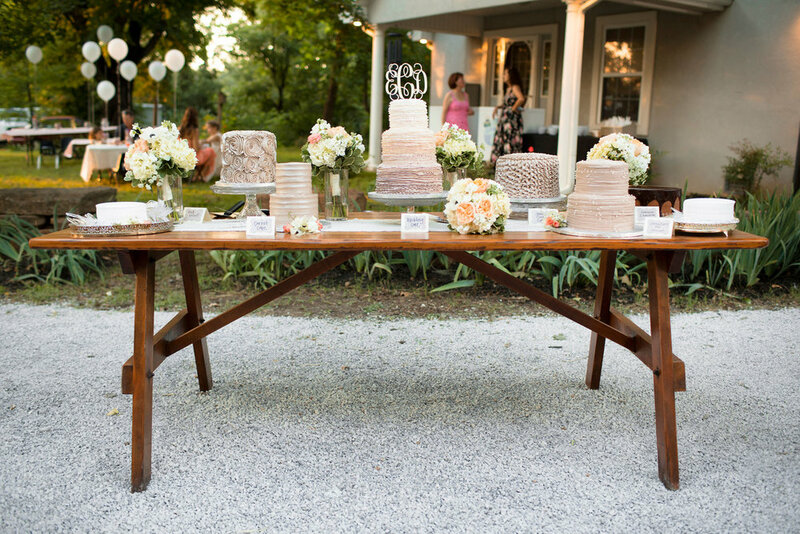 Emily opted for a romantic and vintage feel for their wedding. 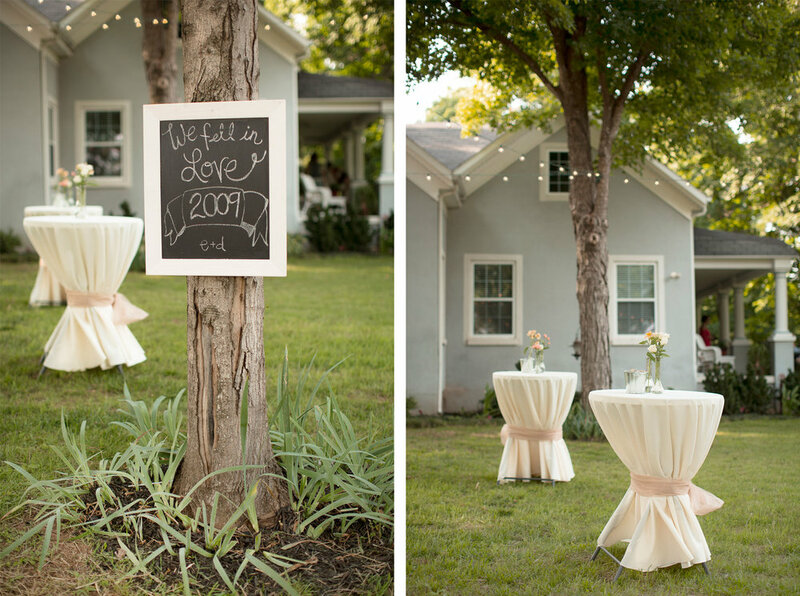 She including various chalkboard signs that chronicled her and Dylan's relationship to guide their guests around the wedding. 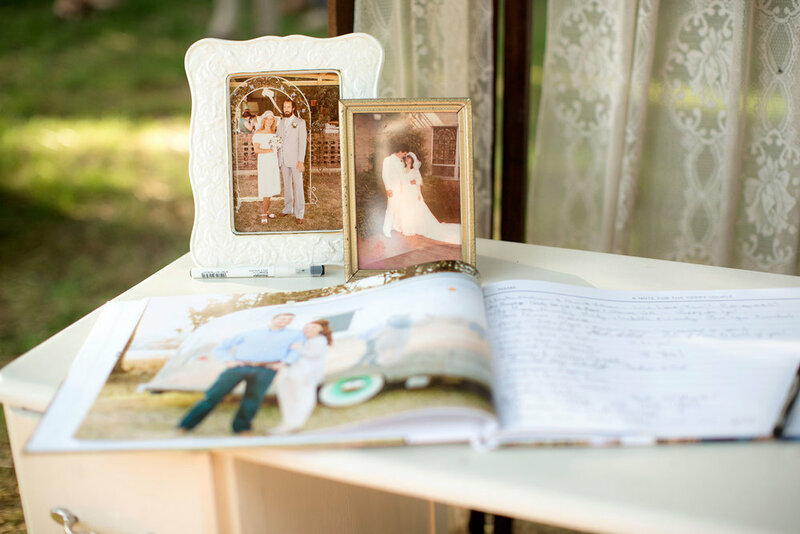 She also included beautiful lace details in the bridesmaid and flower girl dresses and as a gorgeous backdrop for the guest book table. 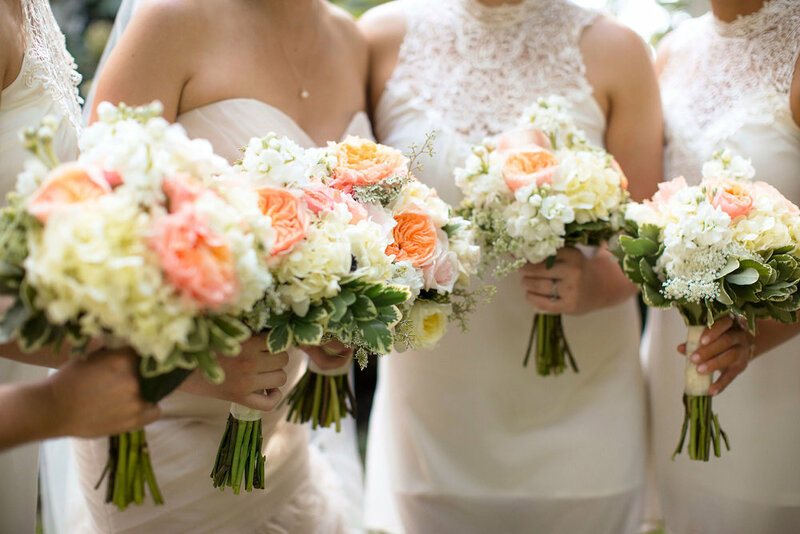 The flower girl halos, bridesmaid bouquets and tablecloths were various shade of blush pink. 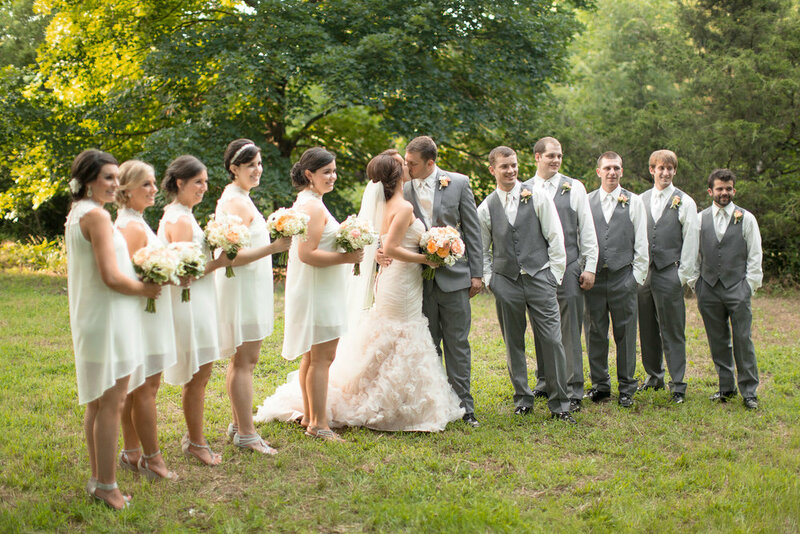 Even Emily's wedding gown was a beautiful dusty pink! 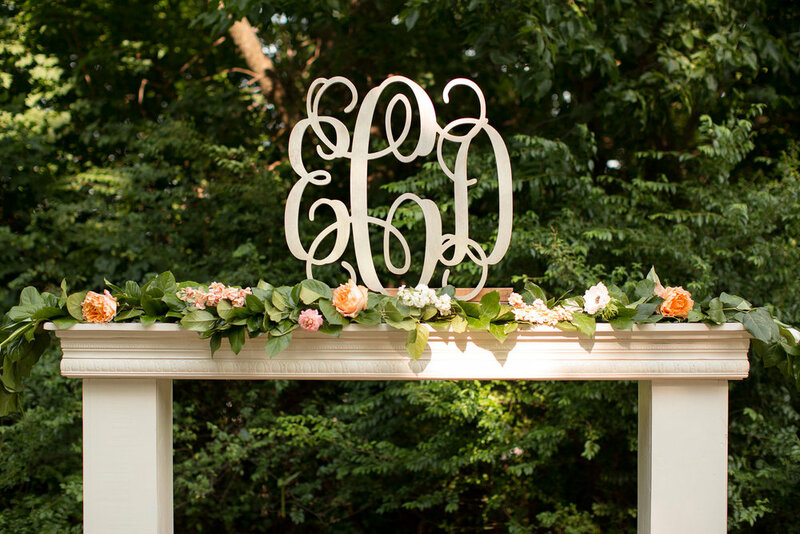 She also chose an array of ivory colors for the chalkboard picture frames, bridesmaid dresses, and their elegant cake topper. One of the most meaningful parts of the day for Emily and Dylan was a memory table they set up to commemorate their late grandparents. 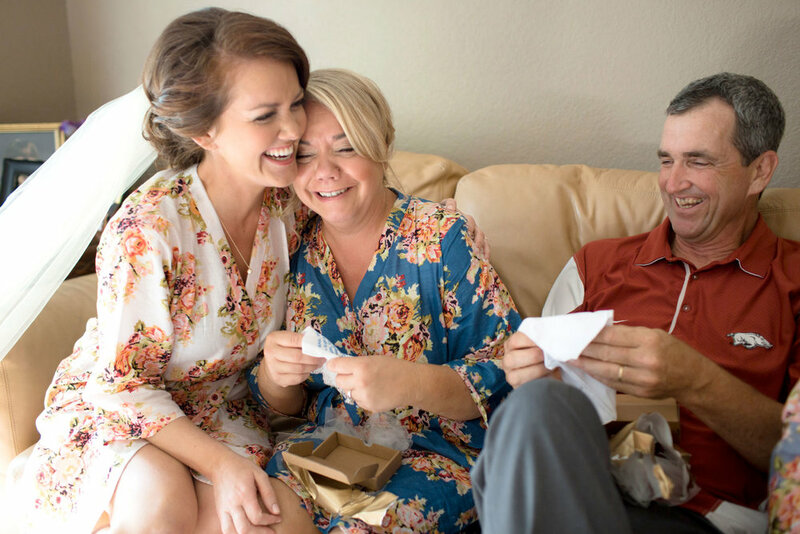 It was also really important to the couple to write their own vows to each other, the bride said that it was the sweetest part of the ceremony. 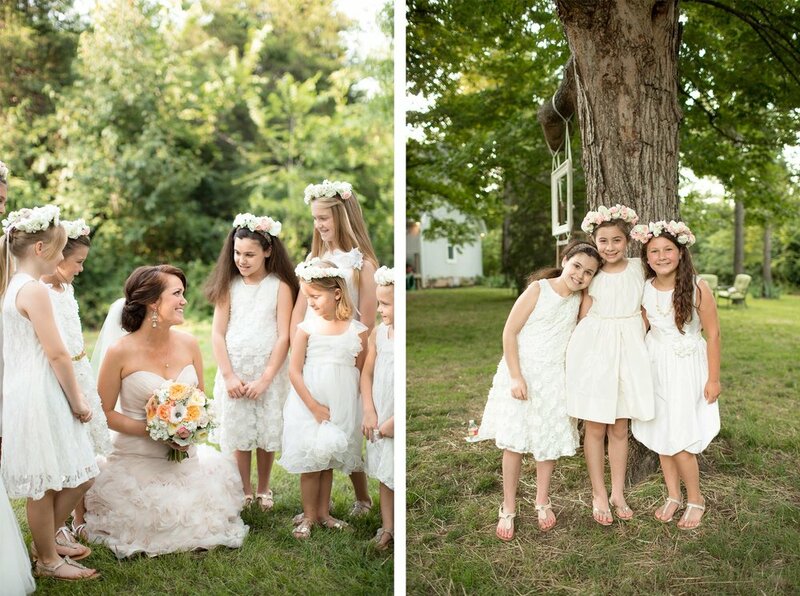 Another significant detail of the day to Emily was her flower girls. 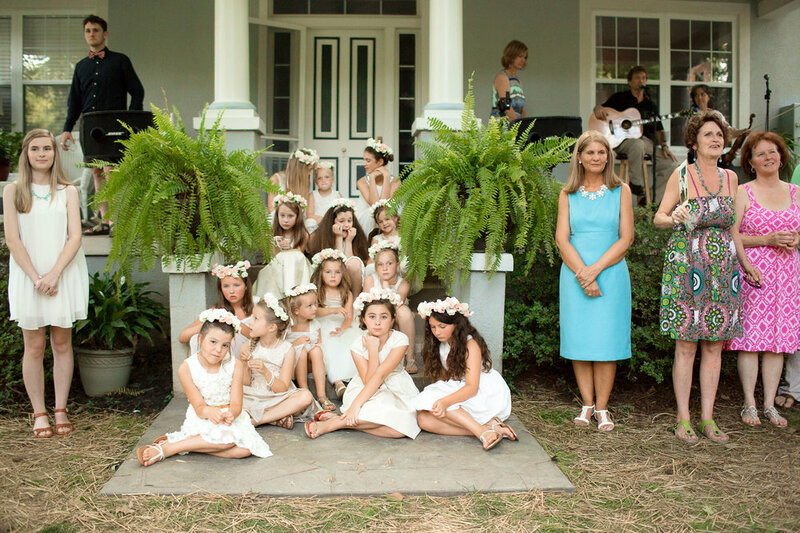 Emily had an incredibly difficult time choosing between all of her sweet cousins and girls she babysat for. 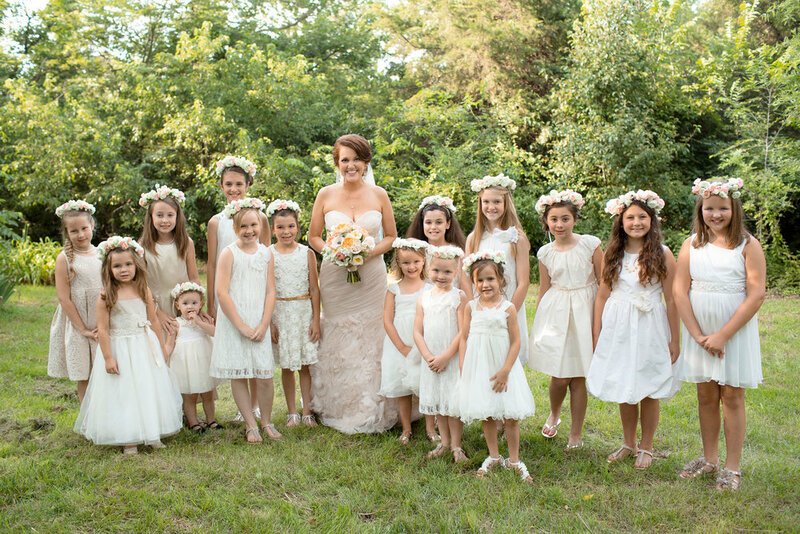 So much so that her mother and her decided to include all of the girls, all fifteen! Emily said it was the best decision she made for the whole wedding. 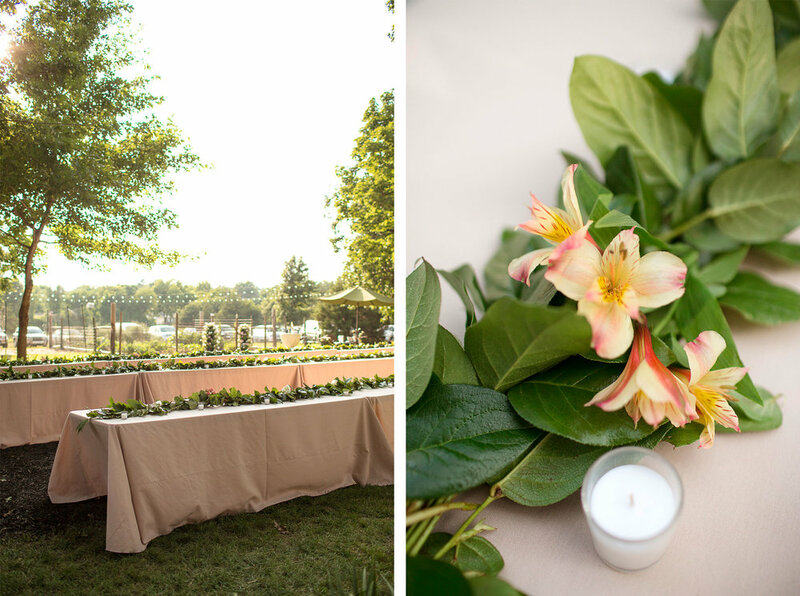 The couple added a personal touch to their special day by having Shakes Frozen Custard set up a frozen custard bar for their guests, which was perfect on a hot and muggy summer night! Throughout the evening, their guests also sipped on cold and refreshing local beer from Core Brewery to help keep the heat off. All in all, it was a beautiful, meaningful day, full of love for this wonderful couple!